From their style of production that introduced the world to the dark sounds of dubstep back in 2009, the boys from New Zealand have been honing and developing their craft ever since. Having inked their record deal with Ultra Music, Mt Eden pulled out all the stops for their debut single on the label with ‘Distance Kills’ in collaboration with Nolita Knights. 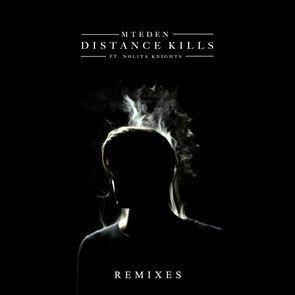 An emotionally charged atmospheric track, Mt Eden’s ‘Distance Kills’ proved to be a track brimming with texture that got great feedback online. Now, in accompaniment of the original, they enlist remix services by friends Liquid Stranger and Beach Season who crank out maximum intensity. Rather than touting the typical electronic dance music trappings of hyper excess and ego, Swedish-born Liquid Stranger chooses to slip back into the shadows, allowing his music to do all the talking and listeners to do a whole lot of wondering. Liquid Stranger’s dubstep rendition features heavy bass stabbing synth and a whole ‘lotta wobble. The young Calgary-based duo Beach Season are known for their dreamy ambient sound which they deliver in full effect. Keeping the Miami vibes alive, Beach Season’s version is a cascading melody of sounds and mellow bass grooves - a full out beach affair.